Saturday, July 28, 2012, 9:00 a.m. It's our first retreat for Twist & Shout Performance Group. All students of Twist & Shout are required to attend, and we are going to have so much fun. It will center around preparation for our Orchard Days appearance on August 4th. 9:00 a.m. Tablecover Drawing: This will be dedicated to refreshing the lyrics and songs the children will be singing at Orchard Days on the 4th of August. 11:00 a.m. 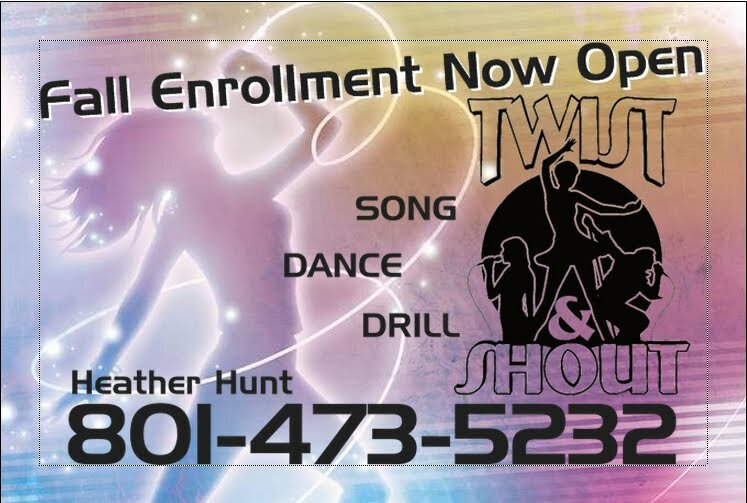 If you've accepted the invitation on Facebook to the Twist & Shout Retreat then you know what we're doing at 11:00 a.m. If you have friends and family who would like to join us, please invite them to be at the park at 11:00 a.m. straight up. Main Pavilion. 5:00 p.m. BBQ for Twist & Shout performers and their families. This will be pot luck, so please let Candace Salima know via the email address above exactly what you're bringing. We're really looking forward to this day, and hope that you are too. We'll have a lot of fun, learn a lot, and walk away feeling great. Thanks for visiting Twist & Shout! Come join us and have a great time while developing and sharing your talents! As a mom of two of Heather's students, I have to say that I am so happy with how she helps my kids develop her talents! She brings her energy and enthusiasm to class and rehearsals and inspires the kids to do the same. Heather isn't just a singing/dancing/performance teacher, she is truly a mentor and cares about her students. I just can't say enough! Thank you, Heather, for all you do for all of us! We've been looking for a place to lease to put our permanent studio in anticipation of the Chase/Social Living/Mission Small Business people loving us and giving us one of the 12 grants. We've outgrown the current place as it is, and I'm excited to be looking! I've had several people ask if we got the grant. We won't know until September 15. They are looking at all the companies that got over 250 votes and deciding who gets the 12 grants. We are thinking positive! We've got 250 votes which make us eligible to be considered for the Chase Mission: Small Business grant opportunity!! Woooo!! THANK YOU!! Now just keep your fingers, toes, eyes, etc. crossed that we get the grant! It's time to expand and get some equipment! !